All Aboard For A Healthy Smile! Welcome to the office of Dr. Maryam Pearose, a pediatric dentist in Foothill Ranch where we specialize in treating infants, children and teens. As a specialist in children’s oral health, we focus first on preventing dental disease in your child. If your child has an existing dental condition, we offer personalized treatment to limit the extent and return the focus on prevention. If your child has an existing medical condition, we keep our knowledge current to provide the best care. We pride ourselves on protecting children’s overall health, and creating a relaxed and dental-friendly experience. Our goal is to help make your child’s dental care as comfortable and enjoyable as possible as we maintain and restore dental health. It is important that each child receives personalized attention based on his/her individual and unique needs. We want to establish a feeling of trust with our young patients and lessen their fear associated with dentistry so we can provide a higher level of care. Every aspect of our pediatric office, from our special office design, to our communication style and specially trained staff, has been carefully implemented to ensure a pleasant and personalized experience for your child and family. 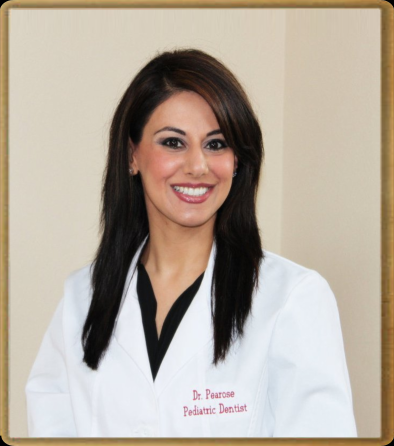 Dr. Pearose is not only a personalized pediatric dental specialist; she is a mother who understands your concerns as a parent and your desire for your children to maintain the integrity of their natural teeth to have a healthy and beautiful smile. We are confident that you and your children will feel right at home in our caring, comfortable, and friendly office. Come visit us and make it your child’s ‘Dental Home’. 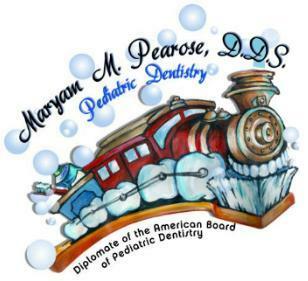 Dr. Maryam M. Pearose is a board-certified pediatric dentist with over ten years of experience providing personalized dental care based on each child's unique and individual needs. Dr. Pearose has earned the distinction of Diplomat of the American Board of Pediatric Dentistry. Board Certification is a status granted only to doctors who demonstrate achievement of the requisite training, experience, and knowledge. Dr. Pearose is proud to provide the most up-to-date and thorough treatment for a wide variety of children's dental needs. She is also trained and qualified to treat patients with special health care needs. Dr. Pearose’s passion to work with children lead her to specialize in pediatric dentistry after graduating dental school from the prestigious University of California at San Francisco. Due to its intensive and thorough reputation, Dr. Pearose headed east to the Children’s Hospital of Buffalo Pediatric Dental program in New York. There she gained the knowledge and training necessary to provide children with the finest dental care available. She also served as a clinical instructor for the University of Buffalo and taught dental students the art of pediatric dentistry. In 2005, Dr. Pearose was awarded the Certificate in Pediatric Dentistry Specialty. Dr. Pearose is a native of southern California, and grew up in the city of Irvine, graduating with high honors from Irvine High School. She also completed her undergraduate training with honors from The University of California at Irvine. Dr. Pearose is happy to have returned to her hometown of Orange County, making it both her personal and professional home. She is actively involved in our local community and schools. She loves spending time with her husband, son and daughter. She also enjoys reading, traveling, and personal fitness. A Southern California resident from birth, Kim has lived in South Orange County since 1995 with her three amazing children Mikayla, Andrew and Brendan (who are also patients of Dr. Pearose!). 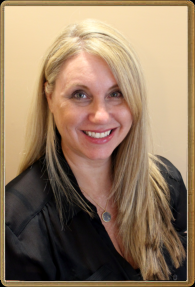 As a second generation dental field enthusiast, Kim has worked in dentistry for over 10 years. While she has worked in a variety of offices, Kim enjoys and prefers pediatric dentistry. Working with children to get them started on the right path with dental care right from the beginning is a truly rewarding experience for her and we are proud to have her serving our patients! Jessica was born and raised right here in Orange County. After completing her degree in Fine Arts, she pursued work as a project manager. After much success she decided to follow her passion for art and teaching. 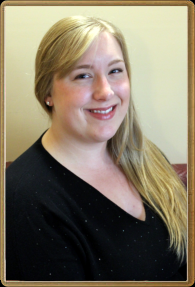 Jessica teaches art to children and adults and enjoys continuing to work with children in our office! Miguel is a Registered Dental Assistant, who loves working with kids. He prides himself in creating a fun and enjoyable environment where kids feel at home. It is very gratifying to him to help kids overcome their fears, and believes that visiting a dentist should be a pleasant experience for them. Miguel keeps himself busy with school and work; he is currently attending Cal State Long Beach to obtain a Bachelor’s Degree in Health Science. Miguel enjoys spending time with his family, especially with his three nephews and niece. He also enjoys the outdoors and socializing with his friends. Diane is a Southern California native. 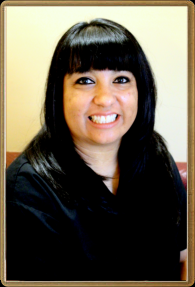 She has been a pediatric dental assistant for over 15 years and really enjoys working with kids. She feels working with kids is rewarding because we are creating positive experiences for them, as well as helping them overcome their fears and teaching them good oral hygiene habits. In her spare time, Diane enjoys spending time with her husband, 3 children, and nephew. She also enjoys bike riding, playing softball, going to movies and reading. We’ve been coming to you guys for years and it was rough at first because our oldest didn’t quite understand what was happening. But you and your team have always been sweet, and caring and professional...and patient! Our little ones needed that extra time to calm down and now they look forward to their visits because they can remember how great the previous visits were. Keep up the great work! We’ll see you in six months! We love Dr Pearose and her staff!! Dr. Pearose is the best and her office is wonderful. I wish my pediatric dentist office was like this when I was young. The staff is great and there are many of them. They have games and video games in the waiting room and TVs for the dental chairs. There are beautiful decorations and a train that runs around on a track overhead. My kids are in and out before they know what happened. Dr Pearose is really kind and patient and takes the time to answer all questions. I could not recommend her and the whole office enough. I love this dental office. They make my kids feel comfortable and try to make a trip to the dentist as fun as possible to hopefully promote lifelong good dental hygiene. So important to have a fun, positive experience when they are young in an office like this! Friendly staff from the front desk to hygienist to dentist. Highly recommend! Dr. Pearose and her team make things so easy for kids and their parents. We recently went in for a small procedure and things could not have gone better. My high anxiety child was happy and smiling. There were no tears, only smiles. We are new patients and this was our first visit. Both of our kids had a wonderful experience with Dr Pearose and her staff! This was our first appointment with Dr. Pearose and she was awesome. She was great with my daughter. We just had X-rays and an exam for a few cavities that need to be filled. She was very informative and thorough on how they were going to go about filling the cavities, and also how to prevent further cavities (besides the usual brushing and flossing). Dr Pearose and her staff did a great job with our kids today! They’re so attentive, patient, and outgoing with them! Both my wife and I are dental professionals. Today is my son's first dental visit at age of 4. We were so worried that he will not act well. However, He felt right at home with everyone in the office. The super nice staff also helped a lot with taking the x ray and cleaning his teeth. My son is looking forward to his next visit already. Dr Pearose requested us to stay at the waiting area, I think it really helps to make this visit run smoothly. One big rock off my shoulders!! Big thanks to the whole office. It's so easy, kids are always happy and she is just great! It's hard to work with kids but they got this down! they know what they are doing and really professional. I would highly recommend Dr. Pearose and her staff for all your children’s dental needs. She is very knowledgeable and professional and provides a welcoming and fun environment for children. My kids don’t ever mind going for a visit and my family appreciates her special care of our children. My daughter loves the friendly staff and Dr. Pearose is amazing! New Patients Feeling Very Welcomed! As new patents of Dr.Pearose we immediately felt comfortable regarding treatments for our children. Dr.Peasrose is very educational and upbeat. The office staff is beyond friendly and the facility is clean and very kid friendly. Thank you for a wonderful experience. You have a fantastic team! Everyone in the office is wonderful! We always have a good experience and never have to wait. My two boys, Jacob and Brian love going to the dentist since we have been going to Dr. Pearose's office. Her staff is always so attentive, caring, and have fun with the kids. Miguel is great and is bi-lingual, which makes my oldest boy feel more comfortable. They have a really cool game center for the little ones while you wait. The openness of the chairs, and kid friendly movies make for a great experience. I have also recommended Dr. Pearose's office to one of my co-workers and his daughters, and they loved it. Hi! We just had our second visit to Dr. Pearose. My daughter is 5 and we hadn’t taken her to the dentist yet prior to our appointment in June. Dr. Pearose had visited her school two years in a row and done a quick lesson on flossing and oral exam and my daughter really liked her. The office is wonderful and she and the other kids there loved it. The staff was also very friendly and she liked that she could watch a show of her choosing during the cleaning and exam. They showed me the areas on her teeth we have to give extra attention to and showed me the best way to brush and floss her teeth for her. We went back a few weeks ago, this time with my 20 month old as well. My 20 month old liked the office and people as well. She was not a fan of getting her teeth cleaned (she isn’t a fan of being poked or prodded at all) but they got it done, and since then she has been much better about letting me brush her teeth. I’d highly recommend this office to friends and family. My son loves going to the dentist, even after he had to have 4 stubborn teeth removed!!! Dr. Pearose and her staff are all kind, friendly, and professional. I highly recommend going to them. We loved our first experience with Dr.Pearose! I could not have put my 3.5 year old and my 2 year old in better hands. Dr. Pearose and staff were so knowledgable, kind, patient and understanding towards my kids dental care and needs. It was my 2 year old son's first visit to the dentist and she couldn't have been more gentle, caring, patient and knowledgable about his teeth and soooo calming for his nerves. I will definitely be recommending Dr. Pearose to my friends and family, thank you for making our dental experience so easy and fun! We will see you all soon! She is always great and honest with me about what my kids need. No unnecessary procedures and the staff is fabulous. Almost no wait time to be seen. My daughter had to get a baby tooth pulled today and she was so nervous, but she ended up having a good experience. Dr. Pearose and staff are very friendly and professional and her office is comfortable and love the Christmas decorations! Once again, I love Dr Pearose. My daughter had a minor dental issue and she explained all the options that were in the best interest of my daughter. All 3 of my kids will continue going to that office. Brought my son for the first time to the dentist. Dr Pearose was recommended to me by my dentist who is nearby in Lake Forest. I was happy to know that we have a Peds dentist in lake forest. I was impressed by what I saw on her website and decided to make an appointment for my son. The receptionist on the phone who took my info was very pleasant and helpful. I loved the office. It is 100% targeted to kids in every way. My son got to pick a Netflix show to have on when he was in his chair. Miguel RDA was absolutely amazing. He was very patient with my son for he was quiet and shy to be in this new environment. He read over our chart before we arrived and quickly knew that my son's favorite cartoon was Paw Patrol. Miguel did a great job explaining all the items he was going to use in his mouth and everything was explained in "kid friendly" terminology. Dr Pearose was also great with my son and made him feel at ease while she examined his mouth. She addressed all my questions/concerns and overall made the visit go smoothly. After we left I asked my son, "So what did you think of the dentist?" His response was only one word...."GREAT" (with a smile) I think its safe to say we have found our Peds dentist!! She's very good with the children, her staff is friendly. Front desk could use some help in greeting the guests coming in & out better though. We love Dr. Pearose. She is friendly, knowledgeable and great with the kids. Her office is very kid friendly. My son loves to go to the dentist! Highly recommend her. Great team from the beginning to the end. It’s great to see them interact with kids and how they are able to get them to relax. Couldn’t be happier that we found Dr Pearose and her team. She has been great with all my kids. She is very honest with me and even called a specialist to consult about my baby while I was still in the office. Dr. Pearose is very good with my kids and I trust her completely. The office staff is friendly and efficient. Our appointments are quick and Dr. Pearose gives me an update at each visit on my daughter's progress. There are fun distractions During treatment and parents can sit with kids if needed. Dr. Pearose and staff are amazing! Everyone at the office is great. My boys always feel so comfortable there. Miguel and others are bilingual, and that makes my boy Brian very comfortable. State of the art equipment, great explanation of things, and family fun for the kids! My kids love going and wish every doctor's office was like Dr. Pearose's. As a parent, I appreciate that my kids are happy in her office, but I also love that staff is very punctual and get us in and out as quickly as possible! Fantastic office facility, staff and doctor! Thanks for going above and beyond to make the experience as least petrifying as possible! Super Friendly Staff & Professional Service! Took my 2 year old to Dr. Pearose for her very first dentist appointment and she was a little uncooperative, but we managed to get her teeth cleaned due to the friendly and amazing dental assistants. I would recommend this office. Dr Pearose is always very thorough she explains everything in depth. She and her staff are very friendly and patient although I ask a lot of questions. She will give you different options for treatment and explain each! Love this dentist! We so appreciate Dr. Pearose & staff for their patience and sensitivity towards our son. He is special needs and they got him in and out in no time. We are beyond happy with the service we've received every visit. Thank you!!! Best kids dentist and team in the OC! We have been coming here for 5 years! Even when we didn't have insurance. No way we were changing. Dr. Pearose and Miguel are like family. Amazing with our boys! We love this place and would highly recommended it to others. Already referred 3 friends and there will be more to come. My kids have been coming here for 3 years. And they love it!! Everything about coming is fun for them. The atmosphere, all the people are so friendly and the little prizes they get to take home on top of a toothbrush and floss. It's such a great place to take your little ones. I for sure would recommend to anyone. Dr. Pearose's dental office is the reason my daughter no longer fears the dentist. She and her staff create a fun, welcoming and positive atmosphere for children of all ages. She is very thorough, she will talk with each parent at the end of the appointment, address any issues and make time to answer questions. We are so pleased with this dental office, we drive 450 miles every 6 months for my daughters cleaning and check up. Good dentists are hard to find. Could not be more happy with the service and quality of dr. Pearose's office. Love how friendly the staff is and how she makes sure to answer all questions thoroughly. I was dreading taking my son to the dentist but our experience with Dr Pearose was so easy. First the office is so kid friendly with a train, video games and tvs for them to watch durring their treatment. The staff was very nice and made my son feel very comfortable. Dr pearose was also very nice and explained everything very well. I would recommend this place to everyone. Dr. Pearose is always very professional and so good with my kids. They are never scared to go because the office is very warm and inviting to children. My children are encouraged to brush their teeth well so they can be part of the cavity free group that gets to pick a small toy from the toy box. My kids had a great first visit with Dr. Pearose. My 6 year old typically screams while at the dentist and he made it through the whole experience with just a few wiggles; could have helped that I promised a pokemon pack afterward, but in general the whole experience was great! The office staff (Kim) sat down with me and discussed insurance coverage in detail which no other office has done before. I would definitely recommend this dentist to my friends! We took our 4 year old twins for their first dental appointment today. The office staff was welcoming and attentive. The decor was very inviting to kids. The motorized train and large train mural and realistic ticket booth were awesome! Each chair has its own tv. My sons loved watching their favorite movies! Dr. Pearose was patient and very kind. She took the time to explain things thoroughly to us. We felt well taken care of and had a great experience! We just went in for our first initial exam, no cleaning but everyone was so nice and the place was very kid friendly. There was plenty to do while we waited, so he could stay busy and not be nervous. The staff was so friendly and great with kids. My son was shown around so he could see that it wasn't scary, though he remained apprehensive. Once it was time for the chair they put on a movie above his head and gave him a few minutes to get comfortable. Once the dentist came over he wanted no part of it, but she was so quick but still gentle. He cried but it was over in no time and then he got a balloon, a toothbrush and a toy! Even though he didn't love it he didn't have anything negative to say about it at all. The dentist went over our concerns and how to help keep his teeth healthy after he was sitting up and back to watching the movie. We will be going back for sure! My kids love coming here & so do I. Dr. Pearose and her staff are so friendly & helpful. Dr. Pearose really takes the time to go over proper brushing with my kids & their hygiene has improved greatly. Dr. Pearose and her staff are very friendly and professional. They make you feel very welcome when you enter their office and take their time explaining what needs to be done with your child. They also make your child feel at ease when they get into the dentist chair and also get to pick out a movie to watch while their getting their teeth cleaned. Once your child is done they get to pick a toy and a balloon. My daughter always looks forward to going to the dentist which is very rare and puts me at ease! We have been seeing Dr. Pearose for a couple years and we love her and her whole staff! Super friendly, very clean, fun office. My kids actually enjoy going to this dentist, and twice we have had to call her after hours with an emergency and she has responded immediately and been super helpful! Can't recommend enough! © Dr. Maryam M. Pearose Pediatric Dentistry. All rights reserved.